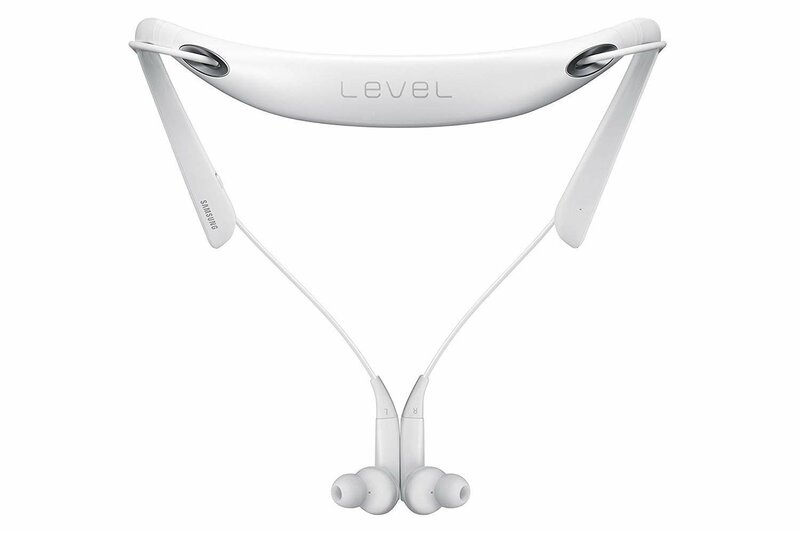 The ergonomic, around the neck design of Level U PRO with Active Noise Cancelling provides a comfortable way to keep your music and calls accessible. Ultra-soft ear gels and splash and sweat resistance** make it ideal for the active listener. Control call and music functionality by way of smart magnets in the earbuds - start/pause music and answer/end calls when magnets are connected or disconnected. You can even share your music with Sound Share, a feature that allows you to share audio with a second Level U PRO ANC, Level U PRO, Level On Wireless PRO or Level On Wireless headset. These Samsung Level You Pro headphones feature a powerful combo of 13mm dynamic and 13mm piezo speaker units that make sure you never miss a beat. The Active Noice Canceling feature tops it up by eliminating the unwanted outside noise. You can easily snap open the magnetic earbuds to answer your incoming calls, start your playlist or stop songs. These samsung wireless headphones feature Ultra soft ear gels with P2i nano coating. This combination stops sweat from leaking in and resists splashes, so you can easily keep up with your rigorous workouts. The ergonomic design of these Samsung level headphones sits around your neck comfortably for hours on end while giving you a hassle free listening experience. These Samsung level headphones pair up with an intuitive app and let you streamline your listening enjoyment to your specific requirements. Receive vibrations and text to speech alerts for remaining battery levels, missed calls, and scheduled events.